The Gnomes are celebrating their 10th year together. Cathy Clasper Torch, (violin/fiddle, erhu, piano, cello) has been playing, teaching, and performing in RI and New England for over 20 years. Cathy's passion for world music began early on, as part of her childhood was spent living in Asia (Burma/Myanmar and Hong Kong). Her violin/fiddle playing is influenced by her love of improvisation and harmony, and informed by jazz, classical and folk genres. Phil Edmonds, (Irish whistles, button accordion) a native of Killaloe, Co. Clare, Ireland, learned to play the tin whistle in a place where he says, "The backyard was the fields." 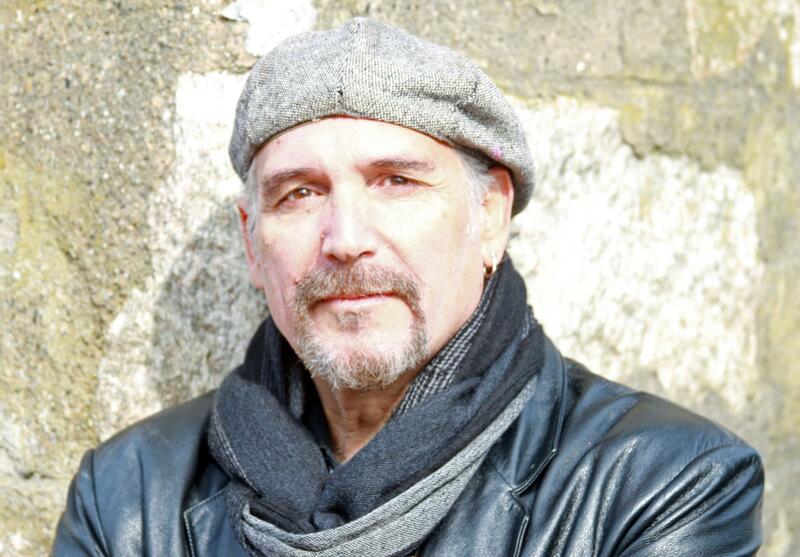 The world music scene of the Providence area has had a big influence on Phil's music. Catch him some Friday nights sitting in with Zerui DePina's Cape Verde band at Club Tropical in Central Falls. Peter Breen, an accomplished and versatile bass player and singer, began his musical journey as a Suzuki-method violinist at the age of four. Taking up guitar at age twelve and bass at fifteen, one of his career highlights includes working with the Wilson Blue and the Blue Roots Reggae Band, enjoying a four-year residence on the West-Indian island of St. Martin. 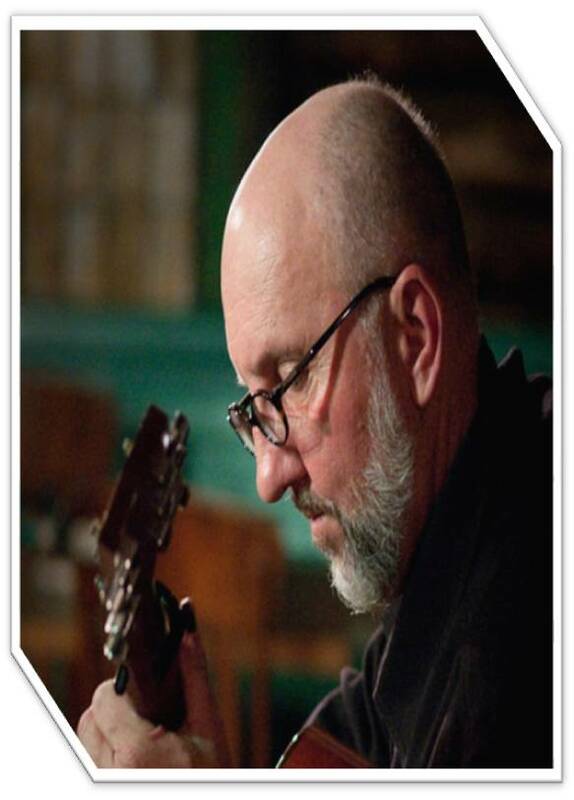 Mike Fischman, (guitar, mandolin, banjo) has played in bluegrass, old timey, Irish, rock 'n roll, blues, acoustic folk, Dixieland, swing, jazz, country and western bands. He has been DJ-ing on WRIU's Bluegrass Breakdown for the past 20 years. Matt Niebels, adds a musical spice rack of flavors to the group as well as a contagious energy and groove combining his foundation in jazz and rock drumming, a passion for world music and a degree in classical percussion. 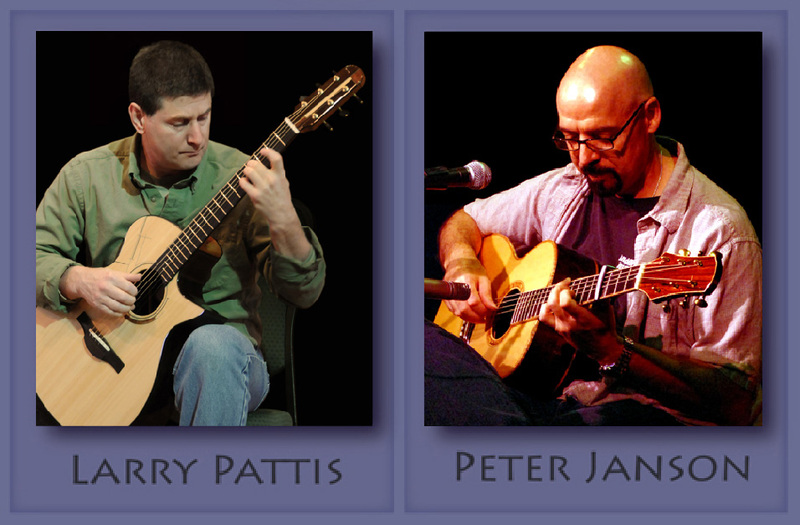 American Guitar Masters artists Peter Janson and Larry Pattis are two acclaimed American Fingerstyle acoustic guitarists whose solo careers encompass nearly 50 years of performing and recording, and whose sensibilities are very much affected by today's world. They have numerous recordings to their credit and have performed widely across North America, from large concert stages, to elite clubs, to intimate house concerts. written, one theme is evident: music is accessible as never before. But something may have been lost in the process: intimacy - the quality of the musical experience to transport the listener to his or her own place, above the noise and confusion of the culture. lThis means the artist must provide much more than background music or music that is pleasantly diverting. It must be music that not only entertains, but is also evocative and engrossing, with roots in tradition and a sense of history, while addressing and capturing the sounds, rhythms, and urgency of the contemporary world. Intimacy in performance, however, involves more than simply having notes come out of the guitar. It involves establishing a deep connection between the artist and the audience, with a deep respect for the audience on the part of the performer. The music must be compelling, to be sure, but the concert experience must also be much more than the artist saying, in effect, "Sit there and watch me play." It must honor the audience. 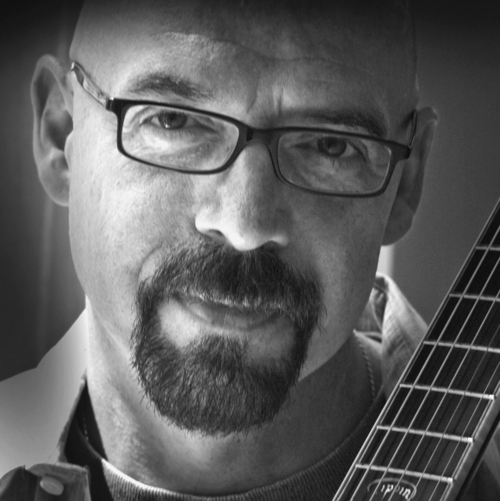 American Guitar Masters artists Peter Janson and Larry Pattis share a mutual devotion to the heart and soul of guitar music. Their common vision is in bringing forth the highest level of emotive qualities of the acoustic guitar; their common goal is to delight the audience with landscape and mood of the life experiences that are the foundation of their music. Rare indeed is the guitarist that brings this passion and effortless mastery to the musical journey. With American Guitar Masters we find two mature artists united in cause and spirit, bringing life to their music as only they uniquely can. For more information click here.ck here to add text. 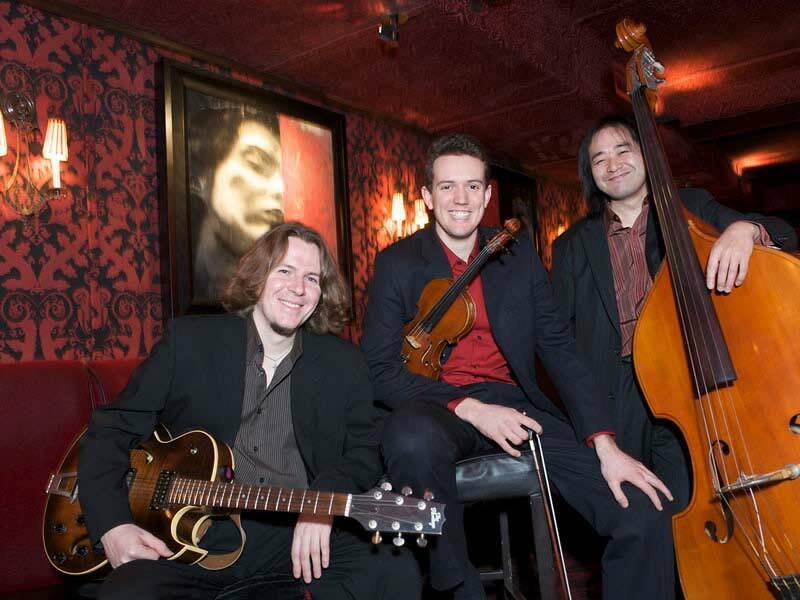 The International String Trio (IST) is a group of exceptionally talented musicians, all alumni of Berklee College of Music, Boston, MA. 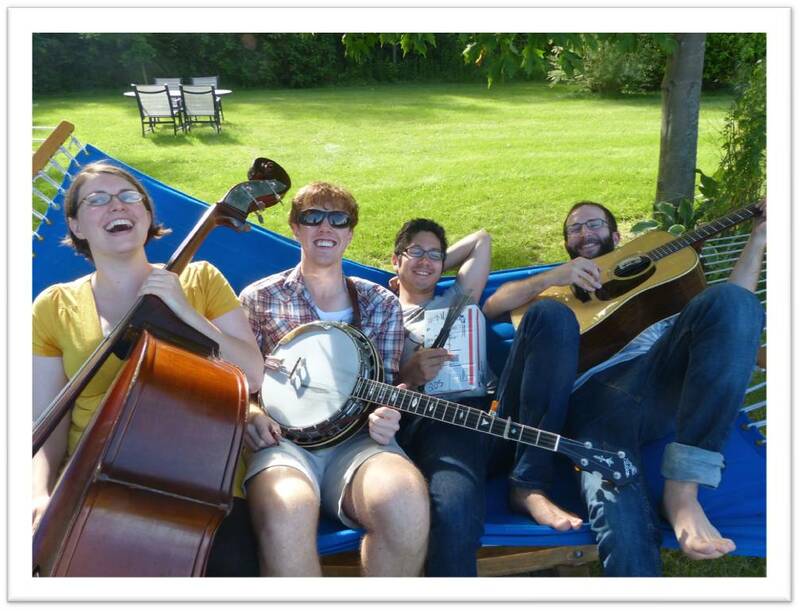 The group prides itself on its stylistic diversity, delivering Gypsy jazz, Appalachian folk, and acoustic world music. The IST enjoys using the diverse cultural backgrounds of its members, hailing from Russia, Japan and England, to influence its stylistic diversity and unique performance aesthetic. Their shows are enormously entertaining, as the Trio strives to provide energetic yet intimate performances. The group’s latest CD release, Appalachia, is an acoustic collection of refined and articulate arrangements, exclusive to this rare instrumentation. IST members Slava Tolstoy, Ben Powell and Ippei Ichimaru delivered a night of music that everyone will always remember. Thanks! 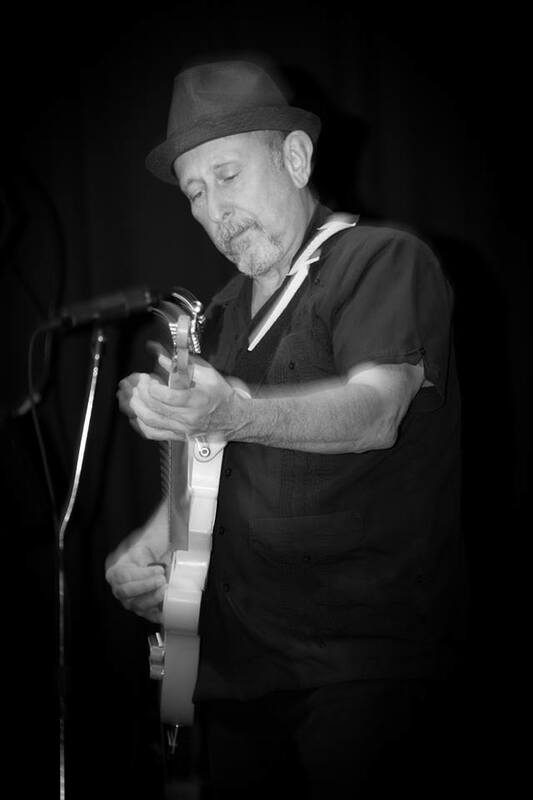 The Astro Zombies make authentic surf music of their own while covering all the classics and beyond. The Astro Zombies are a very unique band, blending Surf rock with classic garage music such as "Louie Louie", "Little Bit of Soul". The Astro Zombies authentic look and sound add to the high energy and fun performance. Covers and originals make up the Astro Zombies set, all focused on fun, dancing and playing great music. Surf on in to our Astro Zombies show and get ready to rock to some killer tunes! 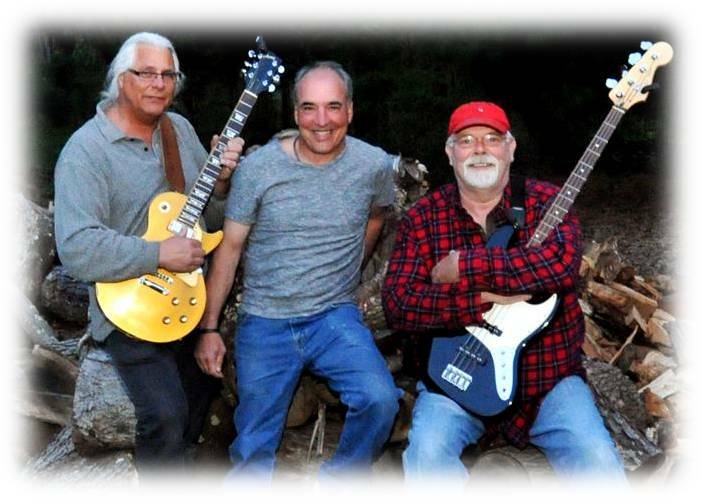 The Exiles are a Rhode Island-based trio featuring three members of the band Pendragon. The Exiles perform dance tunes, songs, waltzes and airs and elaborate on the cultural and historical context of their music while projecting a relaxed and humorous stage presence. 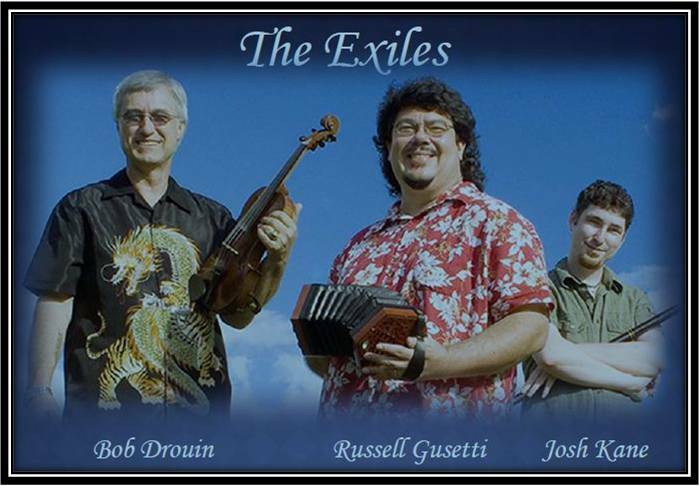 The Exiles feature Bob Drouin on fiddle, bouzouki, whistle and vocals; Russell Gusetti on guitar, concertina and vocals; and Josh Kane on flute, whistles, bodhran and electric bagpipe. 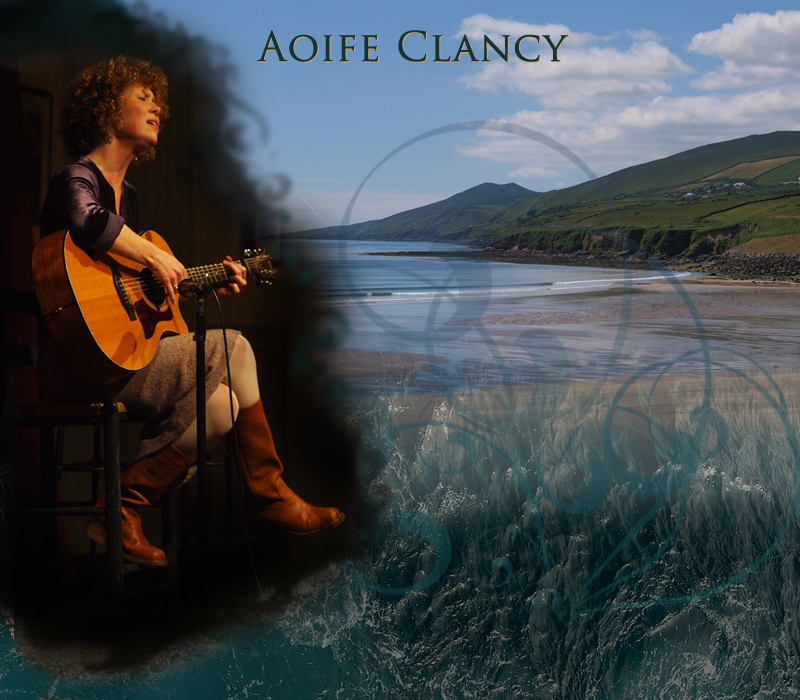 They feature tunes from Ireland, Scotland, and French Canada and also perform original music. 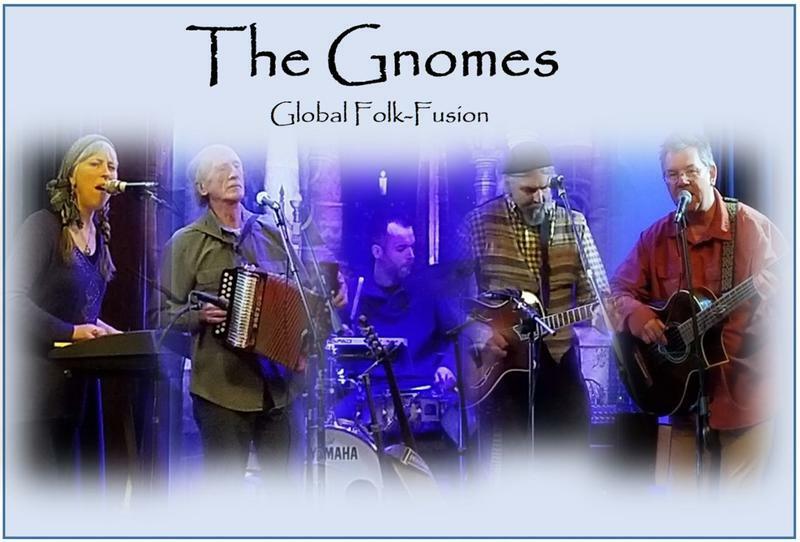 The Gnomes bring an enormous wealth of musical knowledge, musicianship, creativity, and fun to their performances. 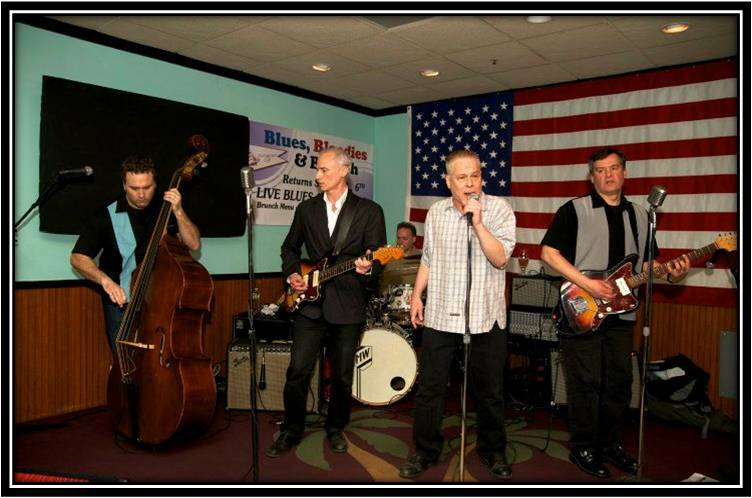 Their live shows are upbeat and never fail to get folks on their feet, moving and grooving! They'll go from a traditional tune into a tango, or a piece of music that makes you feel like you just stepped off a dirt road in Ireland to a sidewalk cafe in France. The Gnomes concerts also have plenty of songs interspersed with their instrumental music. 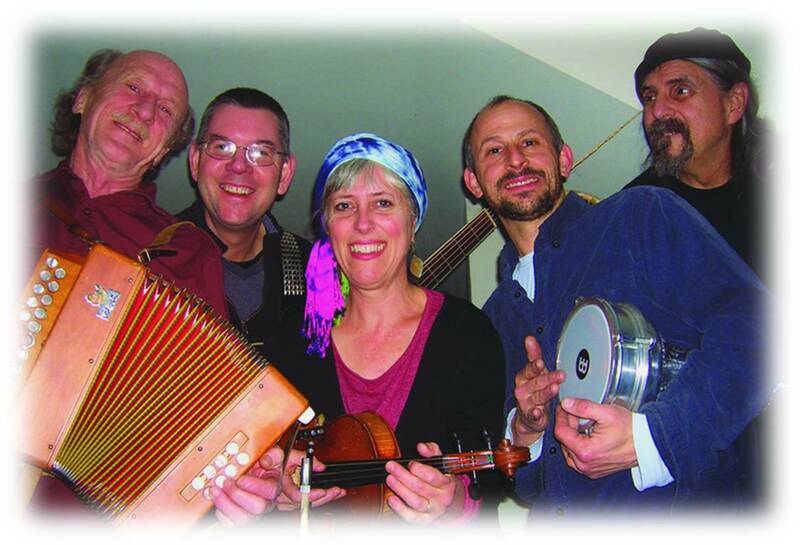 The band's members include some of Rhode Island's best known musicians: Phil Edmonds (Irish whistle and button accordion); Cathy Clasper-Torch (fiddle, keyboard, er-hu, vocals); Mike Fischman (guitar, mandolin, bouzouki, banjo, vocals); Peter Breen (bass, vocals); and Ron Schmitt (percussion). Webb and Jordan met in 2008 at Berklee College of Music, and ever since then have been refining their musical approach and lyric delivery in a number of shared projects and endeavors. Drawing from the work of “folky” songwriters; Steve Earle, Hank Williams, James Taylor and Paul Simon, Webb and Jordan have now found their identity as a folk two piece. Their focus has always been on simple song forms and evocative lyrics. The lack of larger instrumentation on the new record “Jean-Baptiste” allows for greater focus on these aspects of their charmingly down-home demeanor. “Jean-Baptiste” is their first studio release and was entirely funded by private benefactors through www.kickstarter.com. “Jean-Baptiste” by Webb Sandquist & Jordan Alegant is now available on iTunes, Spotify, CD Baby, and other online vendors. The Jammin' Divas played live for us on May 31, 2013. The Jammin' Divas who are Aoife Clancy (IRE) Grammy Nominee with Cherish the Ladies, Becky Chace (USA), Kath Buckell (AUS), Hadar Noiberg flutist (ISR) and Craig Akin (USA) on Bass blend stunning renditions of traditional and contemporary original folk music and elements of improvisation from each of their cultures. 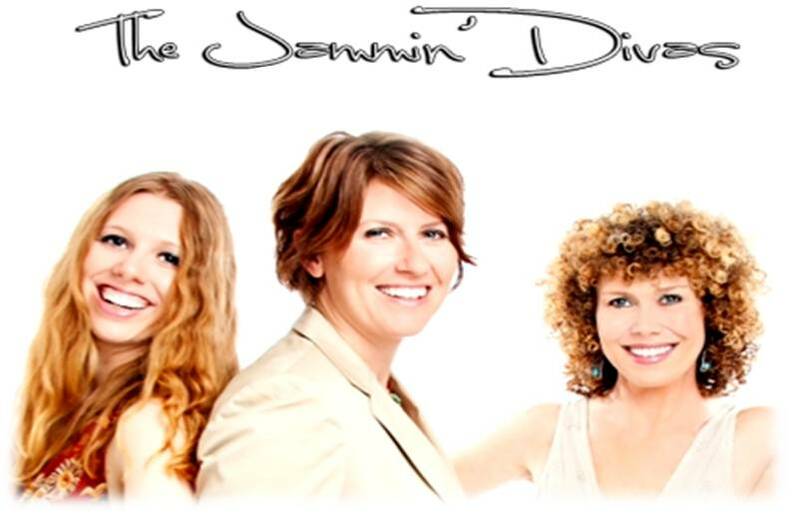 Through stunning three part harmonies bedded against the plush melodic landscape of the flute and double bass, The Jammin' Divas draw the audience into an experience that transcends three continents history by sharing songs and stories of how each country culturally influence and enrich one another.For more information on the group go to http://www.thejammindivas.com/index/. SPL Concerts enjoyed an encore performance from Peter Janson. Peter released his new CD in June 2013 and was at the library to play new selections for us. Peter was our first concert a few years ago and thrilled everyone with his incredible American finger style guitar playing. Peter won an NAR Lifestyle Music Award for Best Contemporary Instrumental Album for his Beautiful Day CD, and Album of the Year and Best Instrumental Album Acoustic awards for his co-writing and performing on Jamie Bonk’s My World CD. Currently a faculty member of the Performing Arts Department at the University of Massachusetts Boston, Peter has been hailed as "the perfect combination of instrumentalist and composer, entertainer and educator" (WUMB Music Festival). He has composed and recorded music on 14 national and international CDs including six CDs under his name, music for video games, and his music has been featured on a variety of regional documentaries. For more information go to http://www.peterjanson.com/#!/pageHome. A performance to hear the words of the Spirit in the wind and the sounds of the wood - that come from the heart. On October 25th we had a very rare treat - the music and poetry of Jerry Lagadec. We enjoyed a program like one we'd never seen before . 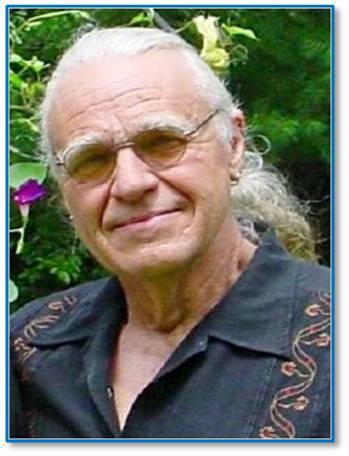 This talented musician and poet played Native American flute, guitar and harmonica along with his original poetry - inviting the listener into a world that evokes a meditative, tranquil state of mind; a much needed remedy for these stressful times. Ken Richards is a self-taught artist who has been painting professionally since 1992. He now lives in Mykonos, Greece and New Bedford, Mass. Not only is Ken an accomplished visual artist but his talents also flourish in the musical realm. His renditions of music from the past will bring you back in time with fond memories. 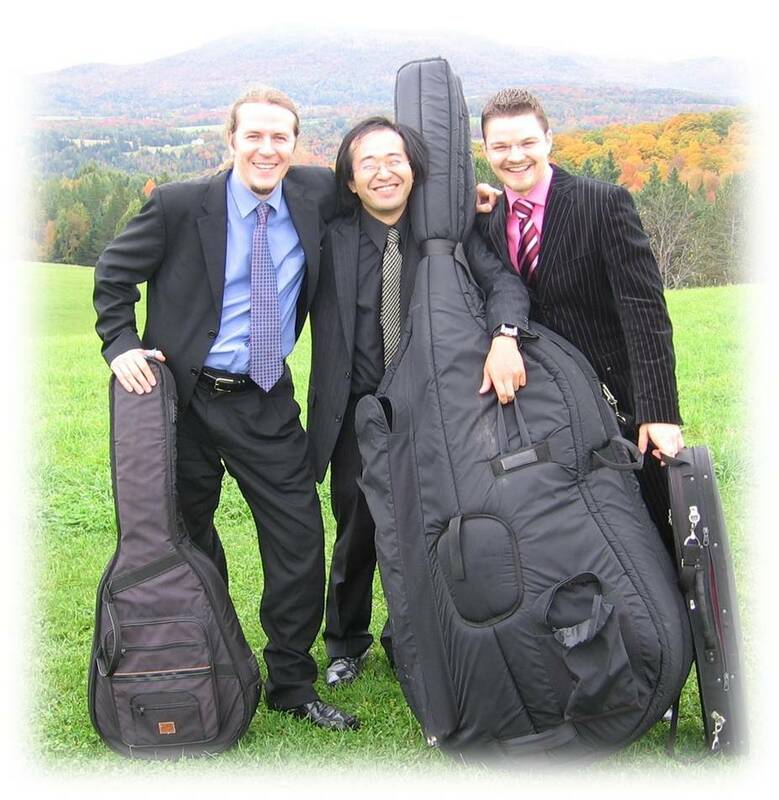 The International String Trio has developed a unique concert program that is both highly entertaining and educational, energetic and musically gratifying. The group plays up to 150 gigs a year at venues including: concert halls, jazz clubs, universities, schools and private homes. Hiroya Tsukamoto is a one of a kind composer, guitarist and singer from Kyoto, Japan. He began his musical career playing the five-string banjo when he was thirteen, and took up the guitar shortly after. In 1994, Hiroya entered The Osaka University. While at college in Japan, he was introduced to a musical and social movement in South America called Nueva Cancion, pioneered by musical legends Victor Jara and Violeta Parra, and has incorporated this style into his repertoire. In 2000, Hiroya received a scholarship to Berklee College of Music and came to the United States to study and perform. 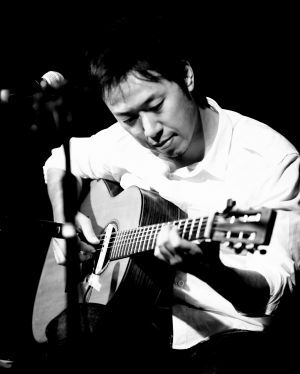 His music combines American folk music with Japanese melodic elements. He has developed unique style of acoustic music and his music is described as "cinematic acoustic music". 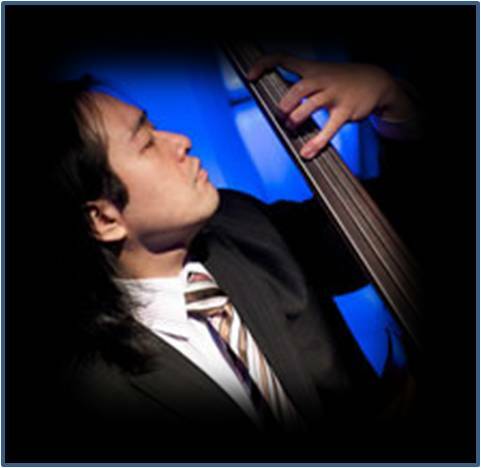 Hiroya has performed with Esperanza Spalding, Marta Gomez, Pete Kennedy (The Kennedys) and Dave Maxwell (Muddy Waters Band). His recent album "Heartland" was released in August 2012. Will I be the right note, the one all want to hear? I’m all alone – scared. it’s another note following me – and another. I won’t be alone – I’m part of something bigger. just a note – but joining with others in celebration. and the music will always be part of everyone. The Gnomes made their way back to Somerset for a great concert. Outside we were in the middle of a few hot days for September - and inside the Gnomes were heating up with an outstanding set of tunes. Everyone was clapping and dancing the night away. 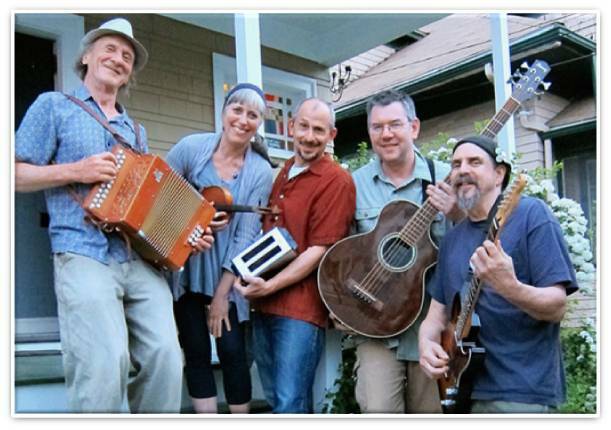 The band's members include some of Rhode Island's best known musicians: Phil Edmonds (Irish whistle and button accordion); Cathy Clasper-Torch (fiddle, keyboard, er-hu, vocals); Chris Brooks (guest gnome! ); Peter Breen (bass, vocals); and Matt Niebels (percussion). Mike Fischman (guitar, mandolin, bouzouki, banjo, vocals) couldn't be with us this time - but I'm sure we'll see him back soon adding the element only he can deliver to the Gnomes! Cold Chocolate is creating an exciting and unique new sound in the world of Americana: fusing bluegrass and roots with a dash of funk. With original tunes and technical prowess, this four-piece band from Boston is rocking audiences with guitar, banjo, upright bass, drums, and four-part harmony. Guitarist/songwriter Ethan Robbins began his bluegrass career at Oberlin College where he met upright bassist Kirsten Lamb and began to explore how this hard-driving fast-paced genre could be stretched. Now joined by the funk-inflected banjo of James McIver and the loose-wristed Ariel Bernstein on drums, Cold Chocolate has established itself as a force in the Americana genre. "Sharing live music with the community"
An SPL Concerts favorite - The Gnomes put their special spin on the holidays. 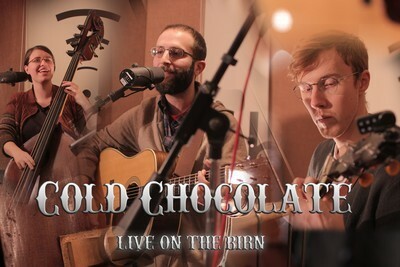 February brought the coldest weather of the year but Cold Chocolate heated up the Congregational Christian Church with the sounds of bluegrass for our concert. Cold Chocolate is creating an exciting and unique new sound in the world of Americana: fusing bluegrass and roots with a dash of funk. With original tunes and technical prowess, this four-piece band from Boston is rocking audiences with guitar, banjo, upright bass, drums, and four-part harmony. Guitarist/songwriter Ethan Robbins began his bluegrass career at Oberlin College where he met upright bassist Kirsten Lamb and began to explore how this hard-driving fast-paced genre could be stretched. Now joined by the funk-inflected banjo of James McIver and the loose-wristed Ariel Bernstein on drums, Cold Chocolate has established itself as a force in the Americana genre. Coming to the Congregational Christian Church of Somerset UCC from Charlestown,Rhode Island - Stephen Cersosimo,Joel Rocha and Steve Hall brought us a great mix of old and new tunes that delighted everyone on April 23, 2016. For more information about Seasoned Wood, check out their Facebook page. The dictionary of American slang defines a 'whodo' as 'an extremely old, or wrecked car that the owner still drives like its new.' The Whodos have individually been on the road and racked up a good number of miles during their time just in the showroom alone. However, they still have plenty of miles to go, a full tank of gas, and are driving this baby like she just rolled off the assembly line. The Whodos play a varied mix of contemporary Americana, old favorites from people like Dylan and Bruce Springsteen and their own original material. All acoustic with an electric edge. Many years ago Walter Barlow and Joe Chirico met and formed a musical friendship that has lasted almost four decades. Although they both went their own way after quite a few successful years playing local clubs and outdoor concerts with their band Which Way they never really lost touch. A strange set of events and the reuniting of a few original members of the band put them together again. 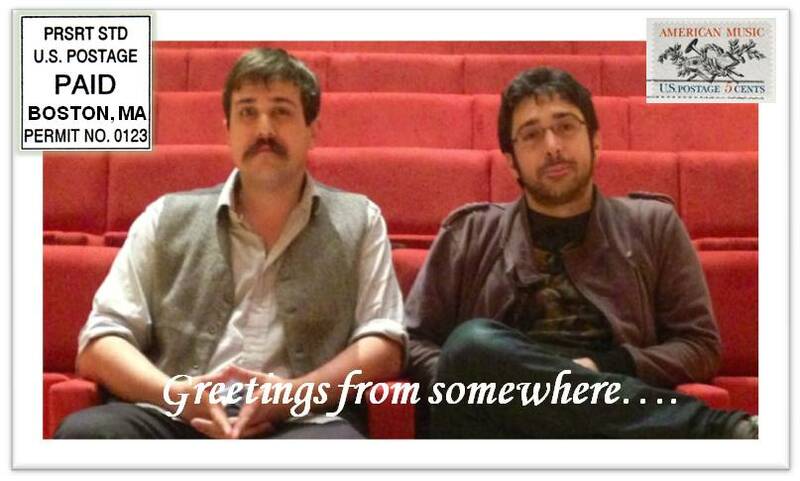 Given that they started as a two man acoustic act it seemed a logical place to return to. With the addition of Walter's oldest son on bass Mr.Whodo was born. Equipped with music and lyrics of singer/songwriter/guitarist Walter Barlow (Limelight Magazines 2015 Male Vocalist of the Year), co-founder Joe Chirico on guitars and harmonica, journeyman Scot "Skip" Harris on bass and vocals, and multi-instrumentalist Bob Drouin (founding member of the band Pendragon); the Whodos perform their own brand of original Americana that has been described as "sometimes gritty, sometimes tender...songs you probably never heard, lyrics you won't forget." 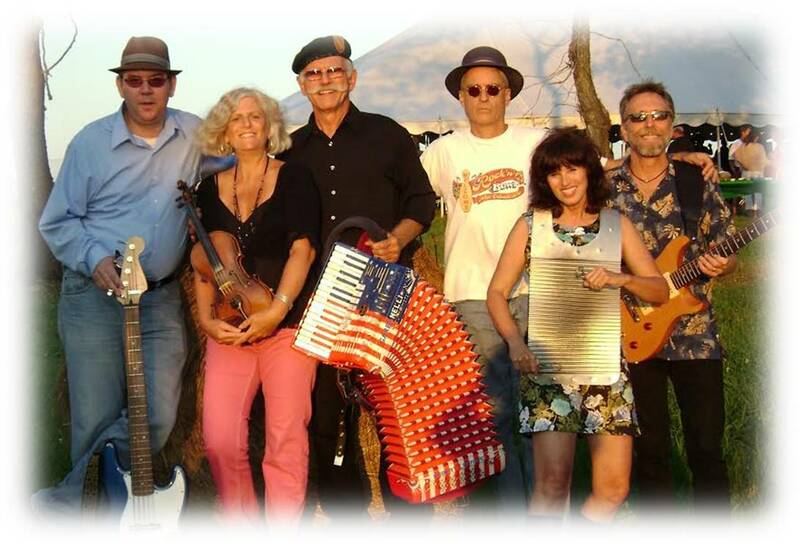 Robert Leonard's Slippery Sneakers is a high energy Zydeco dance band that brings together traditional and contemporary Cajun/Zydeco roots music originating from Southwest Louisiana. 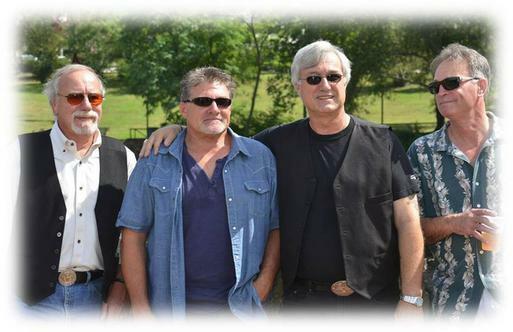 Their sound is a spicy mixture of up-tempo Zydeco, Blues and Soul, Cajun waltzes, Creole, and a bit of Rock'n Roll, with a heavy emphasis on "the groove" to keep crowds dancing. Slippery Sneakers has performed at nationally known Zydeco festivals all over the country, including almost every dance festival in New England, always to wide acclaim. Additionally, the band has routinely broken attendance records at many of the monthly Zydeco dances held around the region of "southern" New England. click here to add text. Visiting us from Boston, one of the best known surf bands on the East Coast - The Fathoms performed for us to wrap up the 2016 concert season. Heading up the band, Frankie Blandino on guitar, vocals - Rob Amaral on guitar - Steve McCrossan on bass and vocals and Neil Curran providing percussion and vocals. Over the last 17 years the group has performed at more than 1000 venues, and gained national recognition for its distinct sound and stylistic diversity. 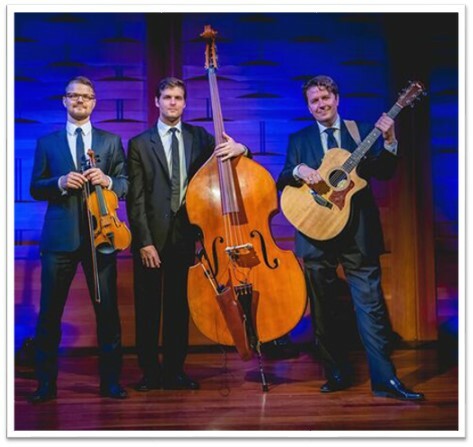 The trio’s repertoire includes Gypsy jazz, Appalachian folk, acoustic world music (Irish, Klezmer, Russian, Italian, French, Bluegrass), virtuosic classical arrangements and popular songs. Our last concert at the Congregational Christian Church in Somerset MA on Saturday October 21, 2017 was "A World of Guitar: Virtuoso Guitar Music from Six Continents” featuring music for solo guitar, and a few duets, performed by Stone Records recording artist Aaron Larget-Caplan, and EWM Records artist Peter Janson. 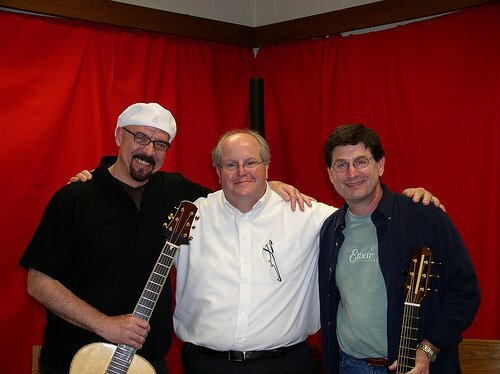 Stemming from the vastly rich variety of human culture as expressed in its guitar music, “A World of Guitar: Virtuoso Guitar Music from Six Continents” introduces songs that cross genres and styles from Americana and Celtic, classical and flamenco, to world-jazz-fusion, for an unforgettable musical adventure. Janson and Larget-Caplan provide evocative and entertaining music that captures a sense of history while addressing sounds, rhythms, and urgency of our contemporary world. Music that is further brought to life by sharing the origins, humor, stories and legends of each piece. Thanks for joining us on this musical journey, artistic and technically masterful, exploring the roots, traditions, sounds and rhythms of the world as Aaron Larget-Caplan and Peter Janson reveal a mutual devotion to the heart, soul, and inspiration of great guitar music. Our first concert at our permanent home at Pioneer Hall, meeting place for the Pioneer Lodge A.F.& A. M. Freemasons of Somerset MA, features The Gnomes. There’s nothing like live music and this group is as alive as it gets. This talented group fuse its dynamic folk-rock edge with original tunes and a wide-ranging repertoire that spans the globe — Celtic, Scandinavian, Eastern European, Asian, African, Caribbean, Klezmer, and Native American — bringing you a sound that will touch both your heart and your feet! They combine their varied and extensive musical backgrounds into arrangements that have been described as "exotic, fresh, and unique." Group members include Cathy Clasper Torch, (violin/fiddle, erhu, piano, cello), Phil Edmonds, (Irish whistles, button accordion), Peter Breen, an accomplished and versatile bass player and singer, Mike Fischman, (guitar, mandolin, banjo), and Matt Demick (percussion/drums).